Our men with van will readily organize your domestic or business relocation anywhere in Crystal Palace with expedience and care and at very attractive rates. 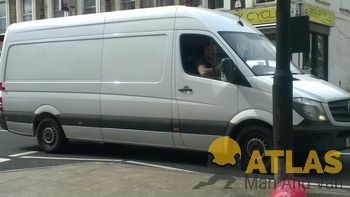 We offer the best removals and a wide range of additional services with no match in terms of pricing in entire London. All the vehicles we use are properly fitted with GPS navigation and full professional moving equipment. All the above combined with the professionalism of our movers is a guarantee of a smooth and expedient removal of your SE19, SE20 or SE26 house or office. And you do not have to pay a lot for the excellent services we provide, on the contrary – our prices are with no match in the area of Crystal Park and we offer additional discounts for midweek (Mon-Thu) bookings. You can get your man with van after a short notice or hire us for a same-day service – you can check the availability of our teams over the phone or by e-mail. In addition to the various man and van moving services for our Crystal Park customers we also offer a very reliable and cheap storage facility. You can find units of different sizes to match your storing needs and you can choose the length of the period your items need to be stored for. The longer the stay is, the lower the fee you pay. You can get a free quote on our website or contact our helpful customer care representative s, who are available round the clock. We guarantee a clean and safe environment for all your belongings. 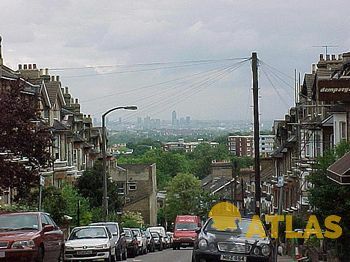 Crystal Palace is a residential area in south London and is named after the former landmark of the area – the Crystal Palace building that housed the Great Exhibition of 1851 and was destroyed by fire in 1936. Now, the area is mainly associated with Crystal Palac F.C. – you can check their website http://www.cpfc.co.uk/ for the latest football news. The area is easily accessible by road and railway and is served by several buses. London Cycle Network routes 23 and 27 pass through Crystal Palace.